Scientific concepts are explained in layman terms. 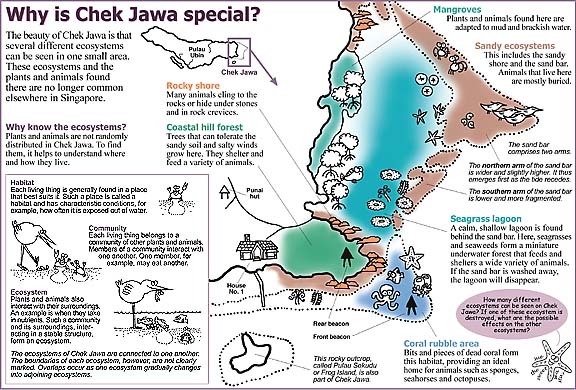 Each double-page spread has a thought-provoking question to explore issues and ideas associated with Chek Jawa. Concepts explained include: the geography of Chek Jawa, tides and its causes, life on the intertidal zone, scientific names, ways animals feed on Chek Jawa, symbiosis.